2016 in Travel Writing: 6 Stories I loved telling ~ The Wandering Soul's Wander Tales..
As someone who left her steady job in search of meaning and satisfaction, hustling for work that pays well but gives me no joy was strictly out of bounds. Of course I broke this rule every single time I was in need of money(which was most of the year if I'm being honest), but having worked on few stories that gave me the elusive satisfaction rode me through 2016, a year which will go down as the one that taught me working towards a focussed goal is better but a diverse income source isn't a bad thing altogether. If you don't know this already, I have always identified as a storyteller – not a writer, not a photographer and definitely not a neo-influencer! When 2016 arrived on swift wings, I dreamt of dedicating the year to relieving the burden of untold stories I'm carrying within but I strayed from that path. I'm now embarrassed to say travel writing is my profession considering I've churned out less than 15(I know, right?) stories this year! However, despite the setbacks, these were the stories, in no particular order, I loved telling to a larger audience in 2016. I enjoyed these for a variety reasons including but not limited to the act of writing, the process of editing, the power of stories themselves or the simple joy of the experience itself. Let's hope 2017 and I will be kind to each other in terms of achieving my writing goals. Meanwhile, here's some year end reading for your pleasure. 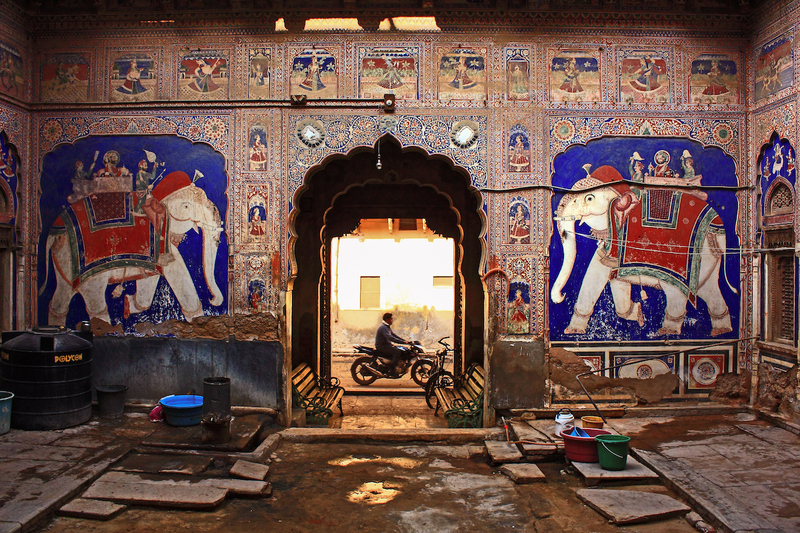 Forgotten in the dusty landscapes of Rajasthan’s Thar Desert is a region known as Shekhawati that was once home to unabashed opulence and the birthplace of many of India’s billionaires. 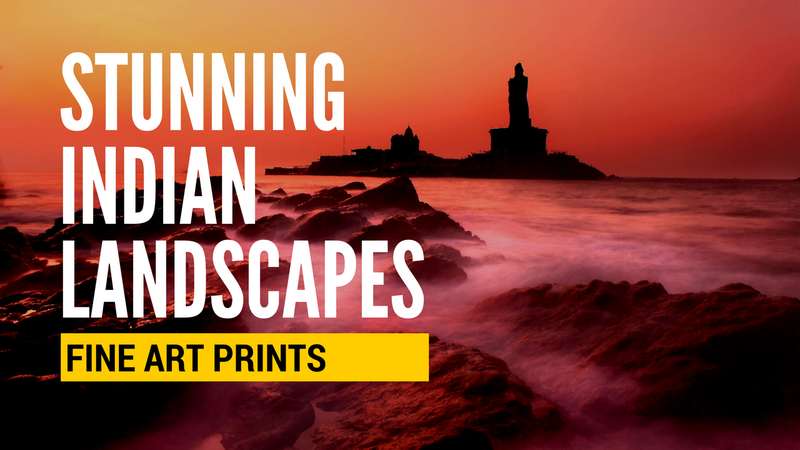 That such an arid region where hardly anything grows, has produced so many of India’s leading business tycoons including the steel magnate Lakshmi Mittal is a testimony to the genius of the Marvari community that lived here. Thriving from rich trade in the 18th century, the affluent businessmen of Shekhawati believed in flaunting their wealth by building grand havelis, or mansions, with every inch covered in intricate frescoes making this region a spectacular and one of a kind open-air art gallery. From scenes of ancient epics to then modern inventions such as steam engines or vintage cars, the frescoes range from beautiful to the bizarre. However, the owners have long abandoned these colossal havelis, that could house joint families of up to 50, leaving few of them in the hands of caretakers and many in neglect. Taking a walk through this cluster of crumbling villages is like stealing a glimpse into the glories of a forgotten past. Read the full story here. Despite being once influential and a part of India’s history for at least the past four centuries or more, an African-origin ethnic tribe of about 20,000 people has been living in near total obscurity in India. Isolated and reclusive, Siddis, as they are known, are mostly confined to small pockets of villages deep inside the dense jungles of Karnataka, Goa, Gujarat and few other Indian states today. 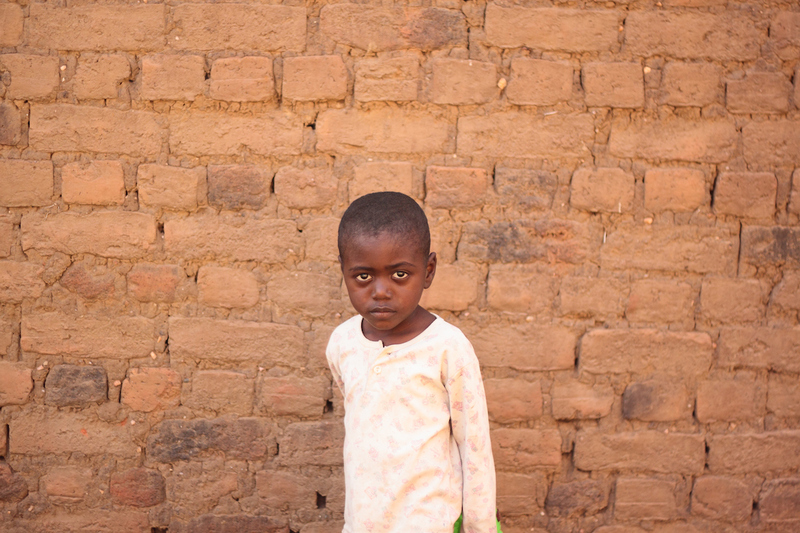 For a long time, they weren’t even aware of the existence of other Siddi villages within the country apart from their own. While their origins are not entirely clear, the most popular theory suggests the Portuguese brought Bantu people of Africa as slaves to India and many fled into the jungles around Goa and eked out a living from the forests for centuries. Estimated to be about 50000 in India, Siddis have largely remained confined to their own communities. Apart from influences of African dancing style that’s been miraculously retained despite being cut off from their original African land hundreds of years ago, Siddis have now completely, and wonderfully assimilated Indian culture, traditions and language. They are Indian citizens but the rest of India has a hard time believing they are so. When I visited much lesser known Siddi villages in the dense forests of Karnataka, I was welcomed with open arms into the Siddi homes and hearts. It was both humbling and shameful experience, because even I had no idea of this ethnic African-origin community’s existence mere few hundred kilometres away from where I lived. In this story, I’d like to write about my eye-opening encounter with a small community of Siddis in India and their fascinating history. Read the full story here. A city slicker lets her guard down in the jungles of Chitwan National Park in Nepal. One of the many unique things about Nepal’s Chitwan National Park apart from being a roaring conservation success story and having a uniquely beautiful riverine ecosystem is the fact that one can track animals on foot, quite unlike in India. I spent an exhilarating yet equally anxious full day hiking with 2 forest guides in a remote and upcoming corner called Meghauli flanked by rivers Rapti and Narayani on its edges. Stumbling upon a massive 18-foot Rock Python just 10 feet away from me(that my guide thought would be good to wrestle with so he could measure its length) had me freaking out like a maniac and carefully tiptoeing around colossal One-Horned Rhinos mere 15 feet away from me almost ripped my heart out of ribcage. Experiencing wildlife from such a vulnerable position on foot gave a completely new perspective and respect for the forests and the guards especially. We happened to run into few of them posted at one of the many campsites around the national park. During the Nepalese Civil War, the forest and it's wildlife was plundered rampantly causing severe damage to the ecosystem but once a govt. was established, almost 1000 strong army was deployed all across the National Park to protect the World Heritage Site and the endangered One-Horned Rhino. 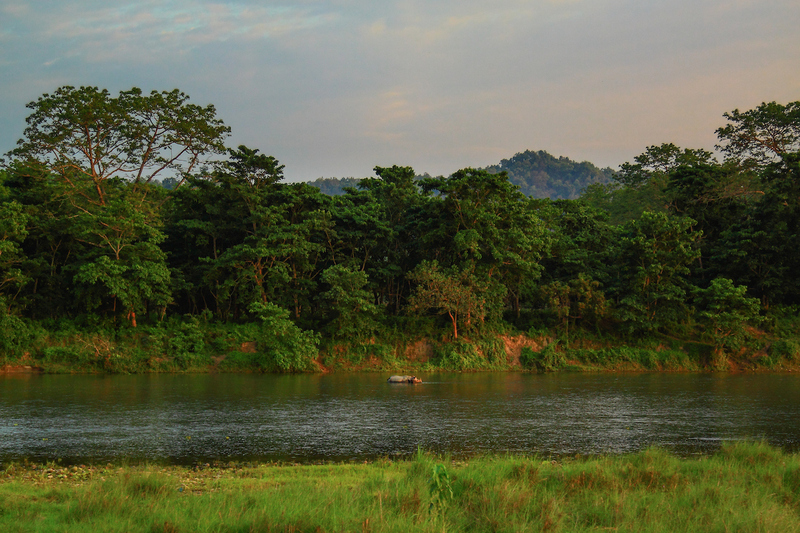 Anyone visiting Chitwan National Park can opt for hiking in the forest and it can get very exciting with close encounters and river crossings. Read the full story here. Situated at the edge of Johar valley, along the ancient Indo-tibetan salt route, Munsiyari is as remote as it is alluring. Undisturbed oak forests, breathtaking views and virgin waterfalls lay undiscovered till now. Word of Munsiyari's raw Himalayan splendour had reached my ears a long time ago. But so had its reputation as a distant and rugged trekker's paradise with little tourist infrastructure. Out of touch with my backpacking ways, I kept putting off my visit until recently. With its verdant meadows, lush oak forests, the best views of Himalayas I have ever seen ​without ​needing​ a hike and vibrant avifauna, this faraway town at the edge of Himalayas is as close as one could get to the mountains without hiking. 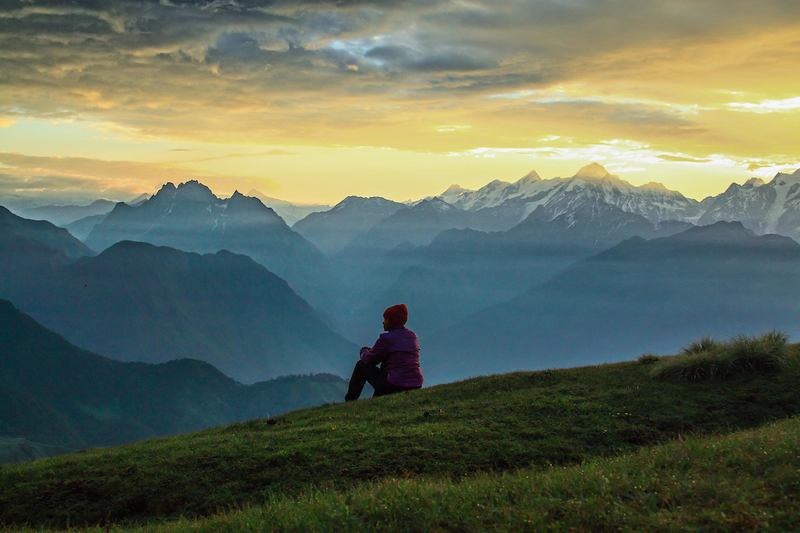 Almora and Binsar are the usual suspects in Uttarakhand for Himalayan views, but Munsiyari– the last frontier in Uttarakhand– offers so much more with closer and grander view of the Himalayan ranges. Lack of good accommodation options, however, had made it a haven only for the hardiest of travellers till now. But the area’s first boutique property offers discerning travellers a chance to be woken up to birdsong and ogle at the five peaks of Panchachuli range right from the comforts of the bed now. Read the full story here. 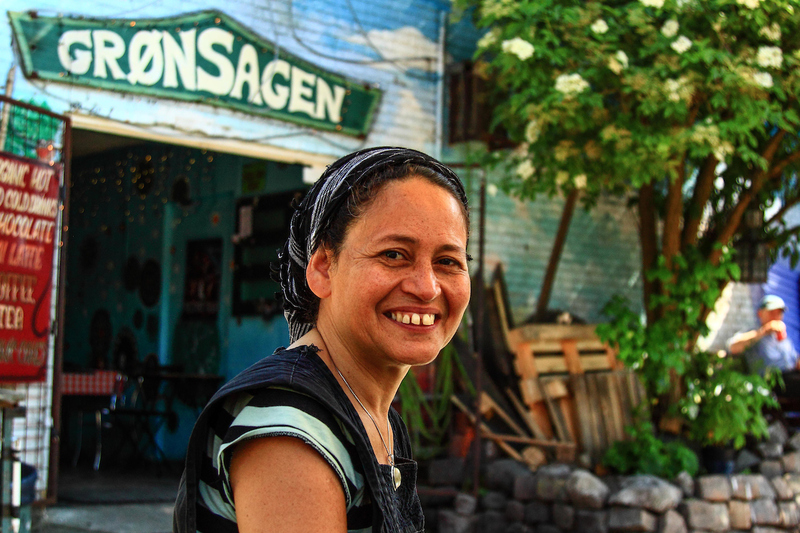 Christiania, an autonomous commune for decades, is a hippie society in the heart of Denmark’s prim and proper capital. Strictly told not to talk on mobile phone, hide our cameras and not to run as we entered this locality, the intimidating instructions were the least of my concerns when I saw people in black masks freely selling cannabis on Pusher Street. This was Christiania, a recently seceded autonomous hippie society right in the heart of Copenhagen! However, apart from the dodgy vibes of Pusher Street, everything else about this free society was immensely fascinating. Christiania was founded in 1971 when a group of hippies occupied abandoned military barracks around a lake, establishing their own rules, even a new currency and a flag for an autonomous region independent of Danish State. Roughly 1000 people from many countries have settled here today. In theory, no one owns anything in Christiania and everything belongs to the community. From whimsical houses to organic cafes and colourful graffiti to lakeside picnickers/residents freely smoking up hashish, no wonder that the alternate lifestyle of Christiania has made it the second most popular tourist site in Copenhagen. Or perhaps it's all the hashish! Read the full story here. Wind in your hair and snow at your feet — these are the splendid perks of learning to toboggan on the Swiss slopes of the Bernese Oberland region. Last winter, I paid a winter visit to Switzerland only because summers are so overdone in Interlaken, I thought winters might show me a new perspective. I wasn't disappointed. I tried sledding (tobogganing) on a 3km course known as Eiger Run, right under the nose of the famous Eiger mountain's north face. I panicked a lot over how I would be able to manage alone on a sled without ever having tried anything like this before but it was surprisingly easy to get a hang of. It is like cycling fast down a mountain on winding roads except the legs substitute for breaks. 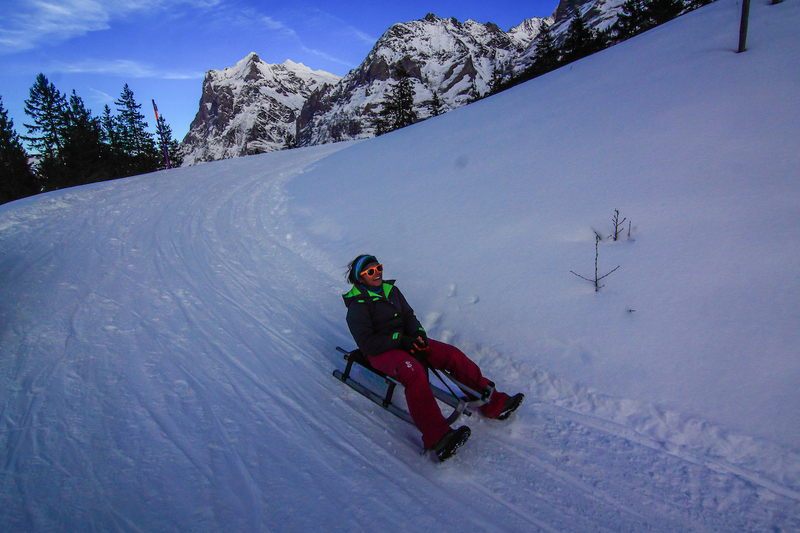 Gliding down on the sleek and slender sled, the thrilling dash down the 3km snow trail that was full of twists and turns happened to be one of the best winter activities I tried in Switzerland. It is probably the most fun anyone who doesn't ski or snowboard can have in winters. An added bonus was gorgeous views of snow-covered mountains and picturesque chalets of Grindelwald. Tobogganing sleds are available for hire at the stations and the start and finish points are well connected by trains. Anyone can try this out during Swiss winters. Read the full story here. 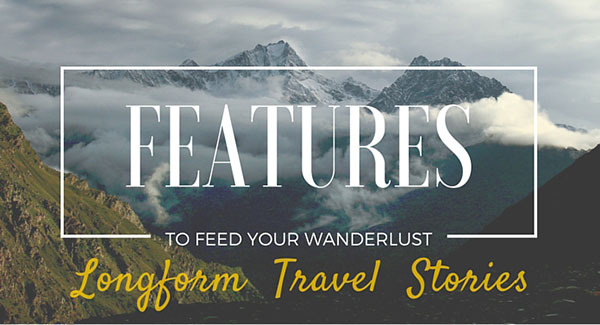 And don't forgot to leave the links to your favorite travel writing from this year in the comments. P.S - There are 5 copies of The Himalayan Collection - 2017 Desktop/Wall Calendars remaining. So you can still place your order here if you missed the bus the first time! Ditto that Zehra! Love Neelima's writings especially the BBC ones. I am discovering new aspects of Neelima writings. A recent one on the overrated marketing of Khajuraho was soooper! Zehra, I'm so glad to hear you try to read all of my stories. :) I'm very much inclined towards tribes and their ways of living too. So hopefully I'll be writing more of them in the coming months. And thanks for sharing the link to your favorite travel story from Bhutan, I have had similar feelings after my visit too. This story took me down the memory lane. Why dont you pay a visit to my blog and pick out which one has been my best work? Will look forward to more such work in 2017. Lovely reads, Neelima. Look forward to more such stories from you. Have a wonderful 2107. One of the best thing about your blog are the pictures. They are simply amazing! !